(with Firing Grappling Hook and Missile!) Combat Belt Batman is ready for action with firing grappling hook, launching missile and capture cuffs! 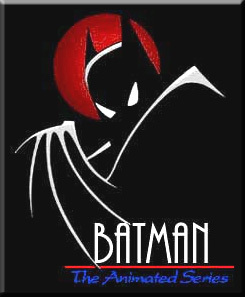 In his line, Combat Belt Batman was the figure that . . .
(with Firing Wrist Rocket & Pivoting Engines!) 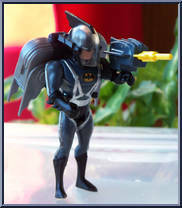 Turbojet Batman has a rocket pack with pivoting engines and a firing wrist rocket! Batman better keep an eye on the Penguin! 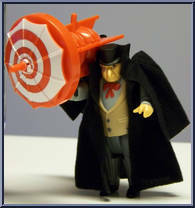 His launching "Hypno-Spin" Umbrella can whirl off like a top! The Riddler is not fooling around! He has a question mark launcher that really fires! 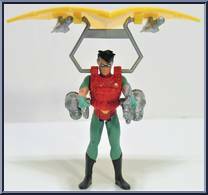 Robin has an adjustable turbo glider which can drop missiles on villains below! Two-Face takes chances when fighting Batman. If his roulette wheel lands on "FIRE"... his gun launches a two-headed missile!